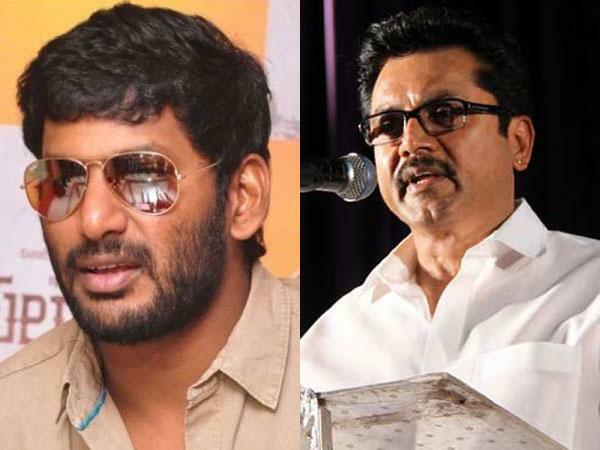 With the Nadigar Sangam elections close at hand, members of the ‘Pandavar Ani’, led by actor Vishal, have raised the issue of security at the election venue. Some of its prominent members, including S.Ve. Shekher, Nasser, Karthi and Ponvannan, met the City Police Commissioner on Thursday morning and presented a petition to him seeking maximum security at the venue. Besides the posting of an adequate number of police personnel at the venue, they have sought the installation of CCTV cameras there. “The artistes should be able to cast their vote without any fear,” said Mr. Shekher. He said members of the ‘Paandavar Ani’ would conduct themselves well during the elections. “We have also requested former High Court Judge E. Padmanabhan, who is presiding over the election, to ensure the security of the ballot boxes and postal votes,” added Shekher. He said the Nadigar Sangam office should have been sealed following the announcement of the election date. “Important documents and files are at the office. The key can be given to those who win the elections,” he added. Meanwhile, police said parking arrangements were being made for cars of members at the venue. “Besides the members, the drivers of these cars would be allowed to enter the premises. Nobody else would be allowed inside,” said a police source. Filmmaker Bharathiraja has broken his silence on Nadigar Sangam elections, which is contested like never before by the two factions in the Tamil Nadu actors' guild. According to the veteran director, the issues could have been amicably sorted out between the two parties rather than fighting it out in public. When popular director Bharathirajaa indicated which camp he was likely to vote for at the Nadigar Sangam elections on Sunday, his rationale seemed to many in the industry as straying into parochialism. However, the director pointed out that anyone could live and pursue a career freely in the Tamil film industry. “But, only a Tamil, the son of the soil, must be a leader of important organisations in Tamil Nadu.” To be noted Vishal is from a Telugu Reddy family settled in Chennai and not a native Tamil. In the same press meet, Bharathiraja stressed on rechristening Nadigar Sangam, which is also called the South Indian Artistes Association, to Tamil Nadu Artistes Association as the other three film industries (Telugu, Kannada and Malayalam) have formed their own guilds. Though Nadigar Sangam had passed a resolution on the name change, it has not been implemented yet. Nadigar Sangam elections will happen on October 18 and totally 58 persons are contesting in the election. The election officer has formally announced that 3,139 persons are eligible to cast their vote. 1,175 people are staying out of Chennai and they are eligible only for postal votes. In case they are willing to come in person they must get written permission. The judge has received 322 requests and 241 persons requests were accepted to come to Chennai and Justice Padmanaban has accepted their requests. Rest 934 votes will be postal votes. They will get their election tickets through post. The election tickets must have reached their residences. The election is to be held at Ebbas School located in Mylapore Radhakrishnan Road and polling will begin at 7.00 AM and close at 5.00 PM. Rajinikanth, Kamal Haasan, Vijay, Ajith, Vikram, Surya and actresses including Nayanthara, Anushka, Trisha, Samantha and Shruthi Haasan are expected to vote and security has been arranged for it.